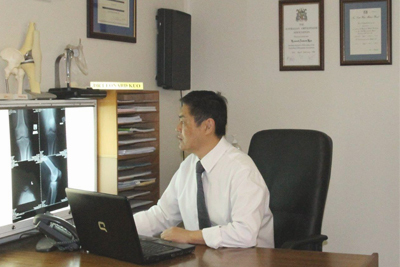 Dr Kuo has been in private Orthopaedic practice since 1995 and subspecialises in surgery of the hip, knee and shoulder. His particular interests are joint replacement, arthroscopic treatment of rotator cuff tears, shoulder instability and sports knee injuries. He provides a general paediatric orthopaedic service. Dr Kuo has deliberately avoided the increasing corporatisation of medicine and prides himself on upholding the traditional values of medical practice. In every circumstance, he ensures that he provides care in the best interests of the patient in a respectful, ethical and honest manner. By remaining independent, he is able to offer a quality orthopaedic service with a personal touch. Dr Kuo holds specialist appointments at both private and public hospitals allowing him to provide treatment to all in the community. Dr Kuo abides by the codes of conduct of the Medical Board of Australia and Australian Orthopaedic Association.